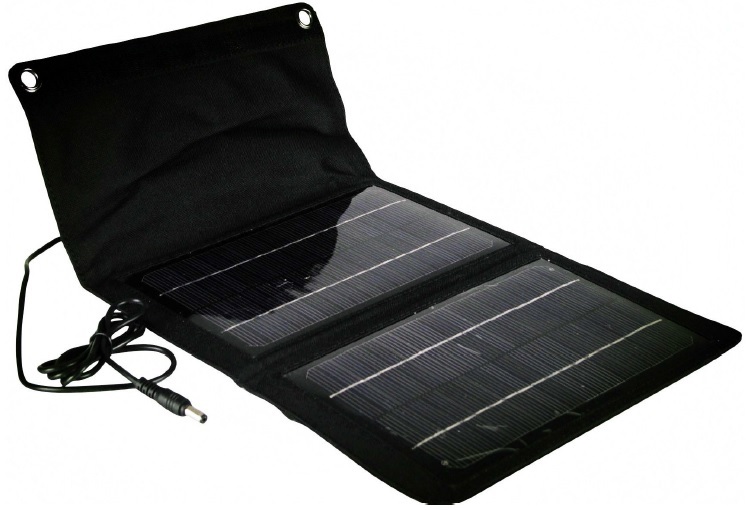 The PowerSPOT 30P is a military grade fold-able panel that is waterproof and comes with a cable attachment for external recharging PowerSPOT solar generator or use as a stand-alone solar power source! The panel is made of vinyl cloth and folds down to a size of a sheet of paper (8.5in X 11in). When fully opened the PowerSPOT 30P provides 30 watts of DC power and folds out to a size of 36in X 20in. Velcro strips means folding and storage is fast, easy, and simple. The PowerSPOT 30P is a perfect companion accessory for charging your PowerSPOT units or a source for charging computers, phones, running small battery chargers, and other small grade electronic DC powered devices. Simple to use easy to store and small enough to transport in your purse or backpack. Totally portable power solution!